Barely 24 hours old — the Massachusetts Supreme Judicial Court’s U.S. Bank v. Ibanez decision is already a huge national story. The high court ruled that two foreclosures of sub-prime mortgages were null and void where the lenders could not establish the chain of ownership within the securitized mortgage back securitized pools. CNN-Money calls it a “beat down” of the big banks. Reuters says it’s a “catastrophe risk” for banks. TheHuffington Post claims there’s some Obama Administration-Bank of America conspiracy in play. The ruling has spooked investors, as bank stocks were down in reaction to the ruling. In reaction to the ruling, a coalition of seven major public pension systems called on the boards of directors of Bank of America, Citigroup, JP Morgan Chase, and Wells Fargo to immediately undertake independent examinations of the banks’ mortgage and foreclosure practices. 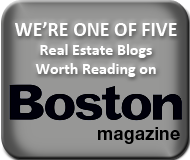 The case certainly has national implications as the Massachusetts SJC is the first state supreme court to weigh in on the legal ramifications of widespread irregularities in the residential securitized mortgage industry. Over half of U.S. states have foreclosure laws similar to Massachusetts’ regarding the assignment of mortgages, such as California and Georgia. Other courts across the country will likely be influenced by the ruling, especially since the SJC is widely regarded as one of the most respected state supreme courts in the country. But no one — except the banks themselves — really has a handle on how widespread these irregularities are. In some cases, I’m afraid, these problems may be fatal. That is, once U.S. Bank, for example, obtained a mortgage assignment executed and effective after the start of the foreclosure, which the SJC said was no good, they cannot then go back and re-create a new assignment dated prior to the foreclosure. That’s called back-dating, and would be fraudulent. And there’s also the issue of all these original promissory notes which were never transferred. Where are those? In some dingy warehouse in Texas. Good luck finding them. There are several important and unanswered questions which remain. How many pools of mortgage loans are affected by the “assignment in blank” and related irregularities in the servicing pools? How many pools are affected by the missing or lost promissory notes? How many pools are affected by assignment executed after the foreclosure started? Will California and other states with huge foreclosure rates follow the Ibanez ruling?